This film was suggested by Mikey over at Screenkicker! Thanks for the suggestion, Mikey! Some of you may know this about me already, but I have a huge fascination with filmmaking. I used to make my own movies for the longest time, and still do from time to time. I know very well how much it takes to make a movie, and how hilarious those obstacles can be if seen in the right light. 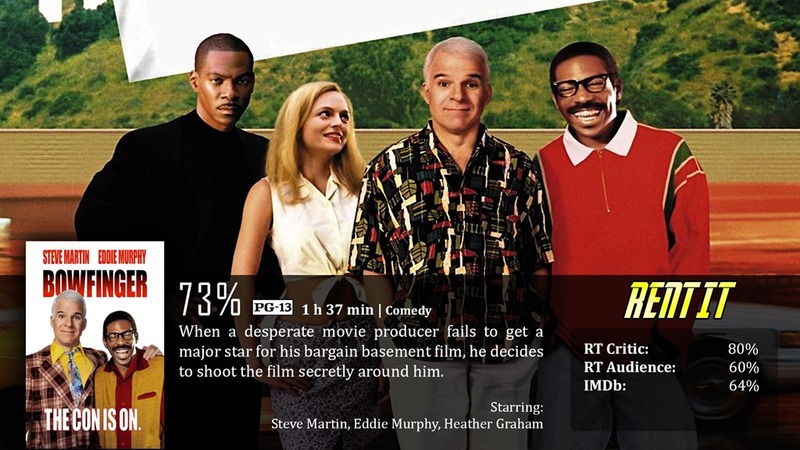 I’m also much more confidant in the craft of filmmaking than I should be, so as far as the premise goes for Bowfinger, I thought it was brilliant. So the “Bowfinger” in question is actually the name of Steve Martin’s character, Robert K. Bowfinger. He’s basically an over-confidant filmmaker that is willing to lie and con people into joining what he believes to be the best script ever written. However, no matter how hard he tried, he couldn’t get the biggest star of the year – Kit Ramsey, into his script. So he does the next best thing, he gathers a team up and films the movie around Kit’s schedule without his knowledge. Only thing is, Kit is a paranoid schizophrenic, and Bowfinger’s movie just makes that worse…because it’s a science fiction movie about aliens. I really wish we knew more about what the movie was. Maybe I’m OCD, but I felt like all of the scenes they were trying to film with Kit were out of context, and I felt the movie would be so much better if we knew what the movie was about, past the general “alien movie” idea. I believe it was basically an Invasion of the Body Snatchers type thing, but I can’t be certain. Instead, the film tried to focus more on Bowfinger and Kit’s desperation and insanity, and how both of those clash and create more and more problems for everyone. It was more about the humor than it was about being clear about everything…which for the most part is fine. 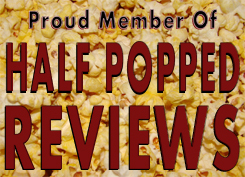 The humor itself works well, I wouldn’t say it’s absolutely fabulous, but it comes from a brilliant and original concept– and it’s performed by two comedic geniuses that you wouldn’t normally think would work well together…but they do. Eddie Murphy does his multiple personality thing again here, but if you haven’t seen the movie, I won’t spoil you any further than to say…it happens and it feel a lot more natural and welcome than with the Nutty Professor movies. What I do want to mention is the movie’s tone. Being a comedy from the late ‘90s, it’s done a little differently than it would have been done nowadays, so in that regards, it doesn’t translate amazingly. What I mostly noticed is the humor is a little over-the-top in regards to dumb comedy. The idea alone is hilarious, and I felt like they kept trying to push what is already funny into the zone of disbelief. That’s mostly Steve Martin humor, and I think the guy is a genius, but I don’t know if that’s exactly what I wanted from this film. It’s not a bad thing, but from a premise that I love, I just personally wished it went a slightly different route. You wouldn’t think so on your own, but Eddie Murphy and Steve Martin work very well together to create one heck of a strange, but original comedy. The overall premise is perfect, and the execution is very interesting. I ate pizza while I watched this movie.